A couple of weeks ago I went to the Read Local Book Festival Cookbook Rodeo with my mom and sisters. It was a great event where you could meet local cookbook authors, taste their recipes and watch live cooking demos. Here I discovered the following recipe from Chef Jay Pierce, author of “Shrimp” and the executive chef of Rocksalt in Charlotte, N.C. In Shrimp: a Savor the South® cookbook (Savor the South Cookbooks) Pierce combined his Louisiana roots and his North Carolina ties to create 50 shrimp recipes, including salads, soups, sandwiches and composed dishes. 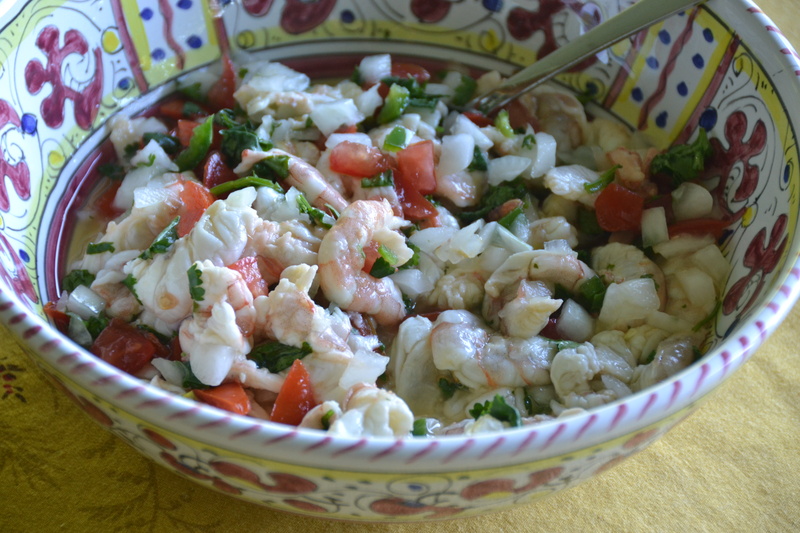 At the Rodeo, Pierce shared tastings of his shrimp recipes followed by a cooking lesson on how to make his shrimp ceviche. It was delicious and he was super entertaining. 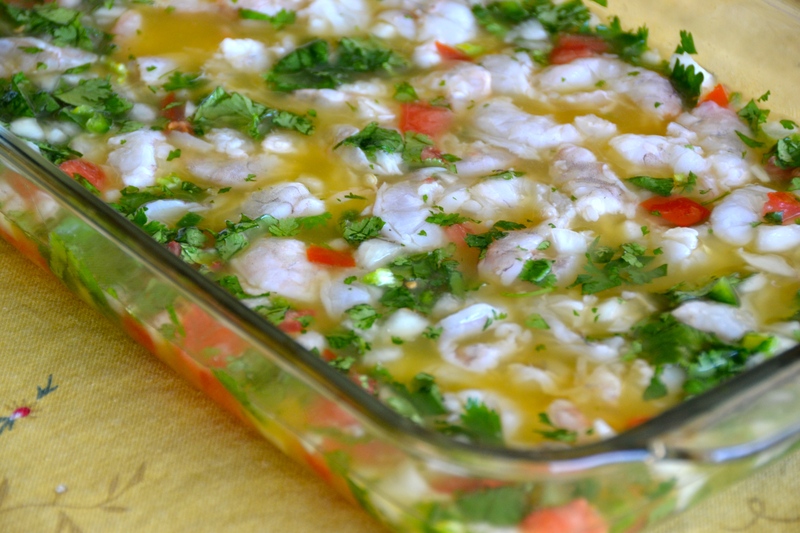 This is the best shrimp ceviche I’ve tried thanks to the trio of orange, lime and lemon juice. I highly recommend serving it as a first course or main dish on a hot night with cold beer. I don’t even know the way I ended up right here, but I thought this post used to be great. I do not recognise who you migjt be however definitely you’re going to a well-known blogger if you happen to aren’t already.